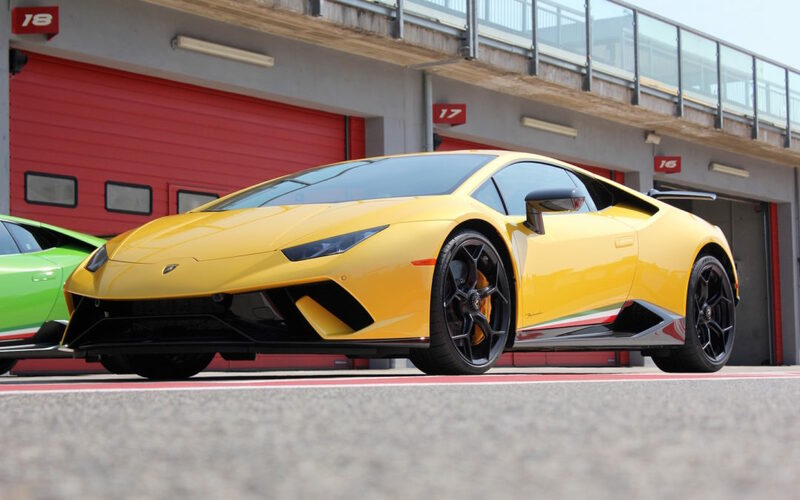 For the last 54 years, Lamborghini has produced emotional energy in automotive form. 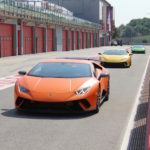 Whether your heart races or your brow furrows at the sight of these Italian-built supercars is not of consequence; the point is that you react, you feel – something. Screaming exhaust notes, dramatic designs, and towering top speeds are all part of Lamborghini’s specialized toolkit. No automaker uses them better. Until now, the raging bull badge has represented right brain engineering, but the Huracan Performante is altering the cognitive code. The most extreme Huracan isn’t simply a leaner, more powerful version of the standard car – it introduces technologies never before seen on a production vehicle. The Performante is born of the same passion as every Lamborghini before it, but with a new strain of sophistication. To the untrained eye, the Performante looks like a Huracan with a massive spoiler affixed to its rear – just another tuner special, perhaps. In reality, nothing about the supercar’s exterior is merely aesthetic; every detail is part of a greater directive: to manipulate the forces of nature. Lamborghini says the Huracan Performante has been sculpted by the wind, but between the two, it’s really the supercar that’s in control. 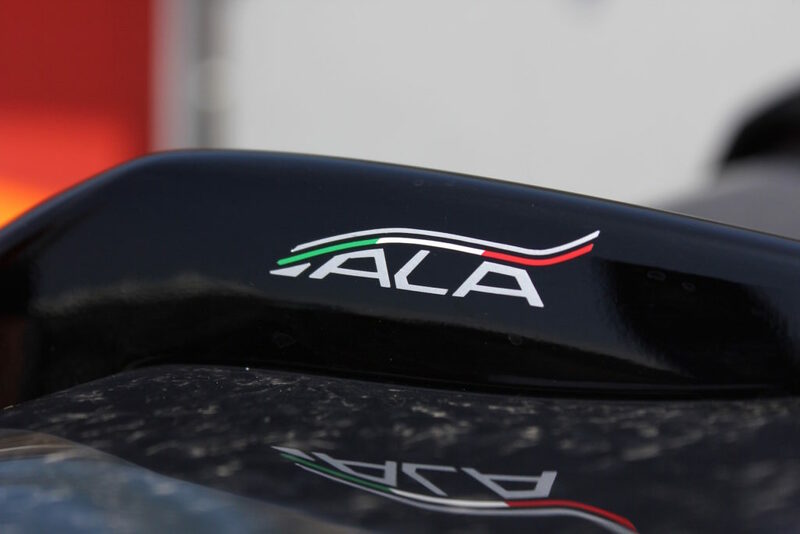 ALA is Lamborghini’s innovative (and patented) method of dictating how and when air passes through or around the car. Four active valves – two integrated within the front splitter and two within the rear engine cover – open and close to trap or channel airflow. When the flaps close, the trapped air adds downforce to the front and rear end, while the fixed rear wing contributes 750 percent more downforce than the standard LP610-4. When the flaps open (via throttle input), air travels freely through the channels to minimize drag. Notably, the rear channel funnels air underneath the spoiler to, in effect, cancel its natural pull. It gets better. 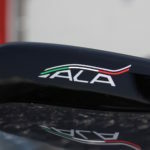 Lamborghini uses its ALA system for more than just front and rear downforce. 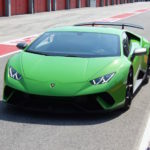 Through something the automaker calls “Aerovectoring,” the Performante opens or closes valves on the left or right side of the car to create downforce on the inner wheels while cornering. On a left-hand turn, for example, left valves will close and right valves will open, reducing required steering input, improving grip, and helping the car pivot. In this way, aerovectoring has a similar effect as torque vectoring without the heavy mechanical components. Apart from a small handful of options like a carbon fiber racing seat and ultra-sticky Pirelli Trofeo R tires, the Performante will ship as a one-size-fits-all deal. Included in the $274,390 price of admission are several Forged Composite interior and exterior bits, an Alcantara-wrapped interior, upgraded powertrain, carbon ceramic brakes, and unique 20-inch wheels wrapped in Pirelli PZero Corsa tires. Complementing the Performante’s exterior technology is a passel of interior gadgets, most of which are focused on the driver. 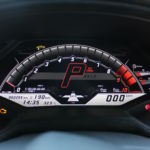 A reconfigurable 12.3-inch digital display splits real estate between navigation, telemetry, media, and radio information on the right and a tachometer/speedometer on the left. Strada and Sport drive modes maintain this setup, but Corsa mode fills the entire display with a racing-inspired tachometer. While the big tach helps during all-out track driving, it’s a bit to low to pick up with your peripherals; a shift-indicator sequence on the steering wheel or dash would make a big difference. Another piece of performance tech is Lamborghini’s telemetry app, which can record and replay laps for you to study or show-off. When you aren’t bending space and time on a road course, you can mate smartphone and supercar via Apple CarPlay or USB. Audio system? Sure, the Performante has one of those, but the only soundtrack you should be listening to is played with your right foot. 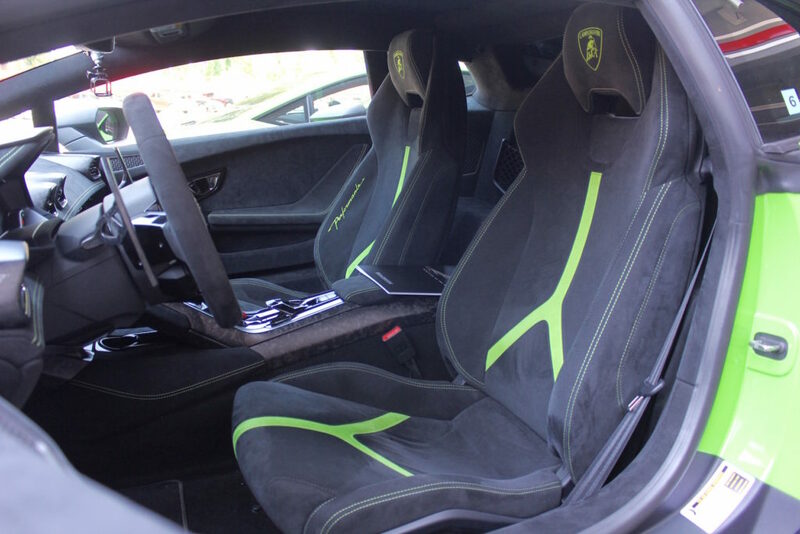 Alcantara and Forged Composite compete for surface area within the Huracan Performante’s cockpit. The roof, seats, dashboard, door panels, and steering wheel are wrapped in microfiber suede. Exterior color-matched cross-stitching and seat inserts breakup the thematic gray nicely. 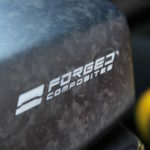 Lamborghini’s unique carbon concoction – Forged Composite – is a fast-curing resin with embedded carbon fiber bits. The marble-like finish makes up the air vents, door handles, steering wheel paddles, and center panel. 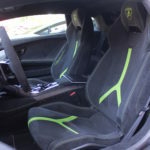 Between the two seating options, we favor the lowered position of the carbon fiber buckets on track and the extra padding of the standard chairs on road. In terms of ride quality, even Strada mode – the softest suspension setting – means a firm on-road experience. Blame the stiffer chassis (10-percent more vertically and 15-percent more horizontally) for the added sensitivity. If comfort is what you crave, this category of extreme performance isn’t the right fit. The 2018 Huracan Performante shares its 5.2-liter V10 engine, seven-speed dual-clutch transmission, and all-wheel drive system with the LP610-4, but select modifications boost total output. 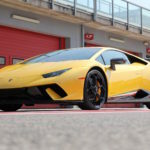 A revised intake, titanium valves, and a derestricted exhaust system produce an additional 30 horsepower and 31 pound-feet of torque for a net of 640 horses and 443 lb-ft. Lamborghini has also shaved 88 lbs from the Huracan thanks to the Forged Composite pieces. More power, less weight – you know the drill. 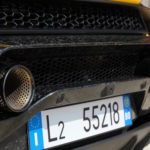 If it was just a question of power-to-weight, we could probably evaluate the Performante’s driving dyamics (as they relate to the LP610-4) without ever getting behind the wheel. ALA changes the game, though. As we exit the pits onto Autodromo di Imola – where Ayrton Senna’s life was cut short in 1994 – our hands tremble in anticipation. 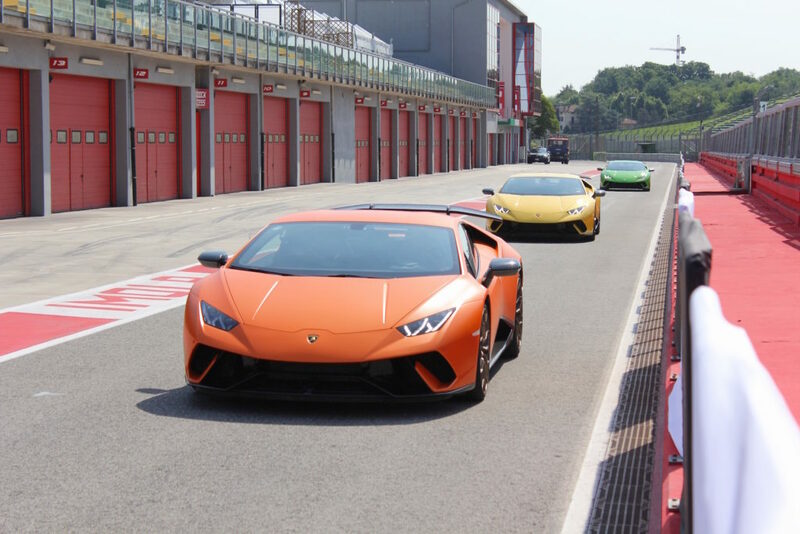 Lamborghini’s test driver leads our trio of Performantes on some orientation laps around the three-mile circuit. At this moderate pace, we explore the car’s braking force, steering effort, and chassis responsiveness. In the hard-edged Corsa drive mode, the Performante splits torque to slightly bias the rear end and chooses a shorter, fixed steering ratio to facilitate predictable handling. The pace builds rapidly, forcing intimacy with the Performante’s mechanics sooner than we’d prefer. In any other sports car, we’d be wary of sprinting to 170 mph on the straightaway before jamming the brakes ahead of a tight left-right chicane on just the third lap. Somehow, though, we’re rotating, counter-steering, and trail-braking the Performante with unvexed confidence. A screaming V10 and whip-cracking downshifts are at odds with the composure we feel at the limit. “Are we aware of ALA at work?” Perhaps not in the sense you might imagine. There isn’t an impression of gravitational pressure, applied or released. Rather, the Performante feels planted when you expect otherwise. Cresting a hill, taking a downhill, off-camber corner – times when self-preservation demands easing – the Performante begs to be pushed harder. Imola doesn’t stand a chance. We’ll spare you the exhausted “race car for the road” metaphors, but it’s difficult not to compare the Huracan Performante to the immersive driving experience of a motorsports machine. Few performance vehicles, even among the supercar ilk, feel purpose-built to obliterate lap times. The Performante’s innovative aero engineering blends with traditional performance tuning for the ultimate in street-legal excitement. Lamborghini’s latest doesn’t just knock around the world’s fastest cars; it puts on a show while doing it.